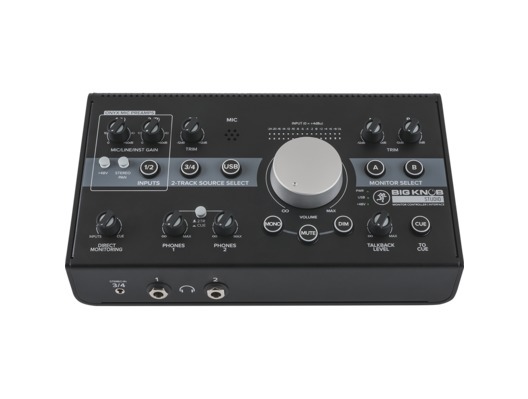 The Mackie Big Knob Studio is a professional 3x2 monitor controller and high-quality 2x2 USB recording interface for use in studios of any size. 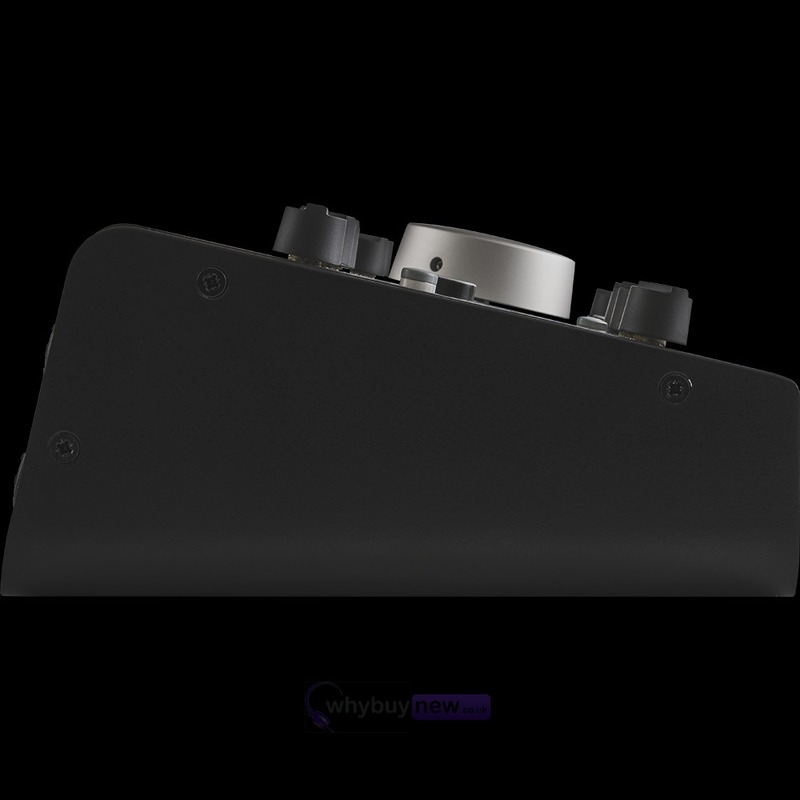 It offers a routing choice between three sources, two monitor pairs and high-resolution USB interfacing. 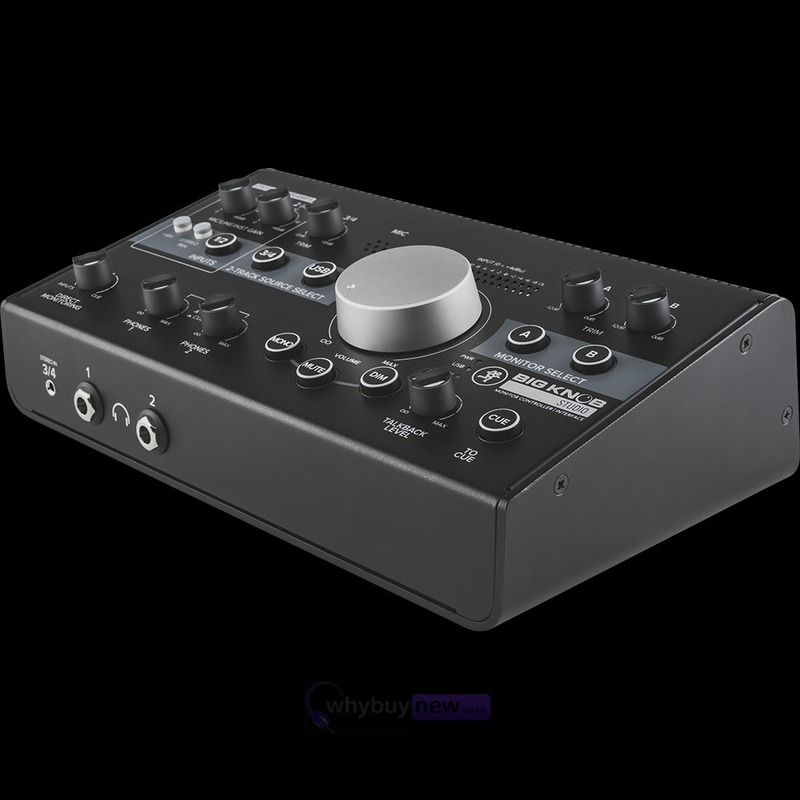 It also includes great studio features like dual Onyx mic preamps, integrated talkback and dual headphone outs that really help in the studio. 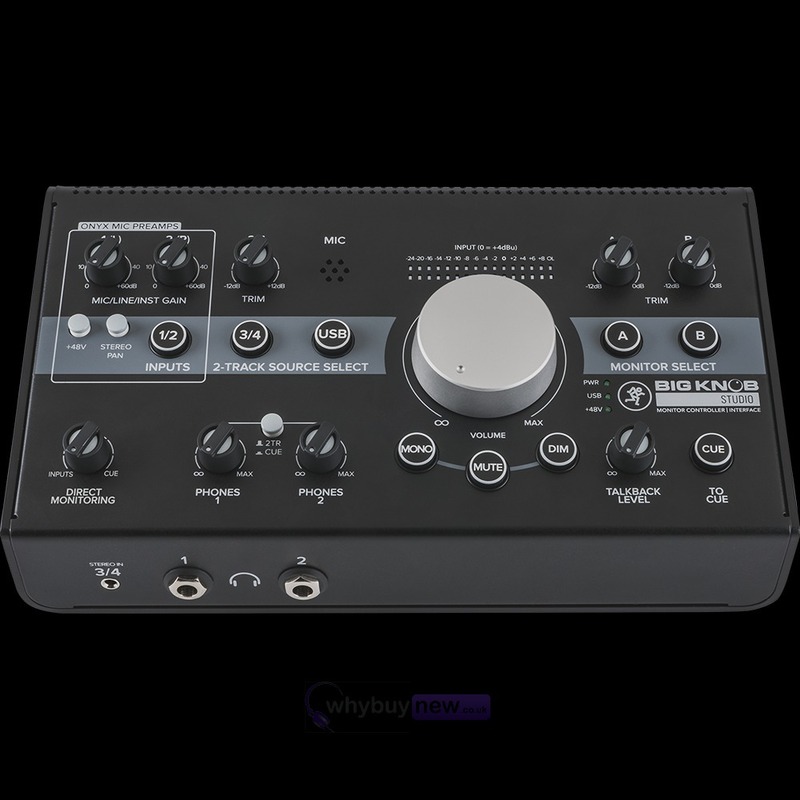 Mackie Big Knob Studio combines premium 96khz/24-bit recording with the proven performance of the world's bestselling monitor controller. 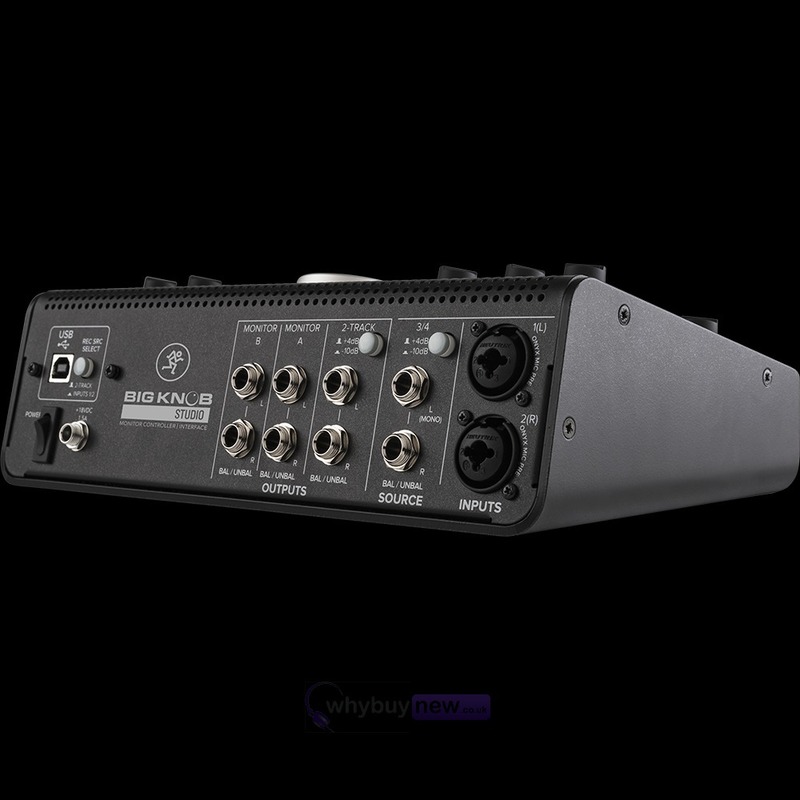 Capture world-class recordings via dual OnyxTM preamps and professional studio features like zero-latency overdubbing and built-in talkback for artist communication. Easily select from three sources, including USB playback from your DAW and switch between two pairs of studio monitors. 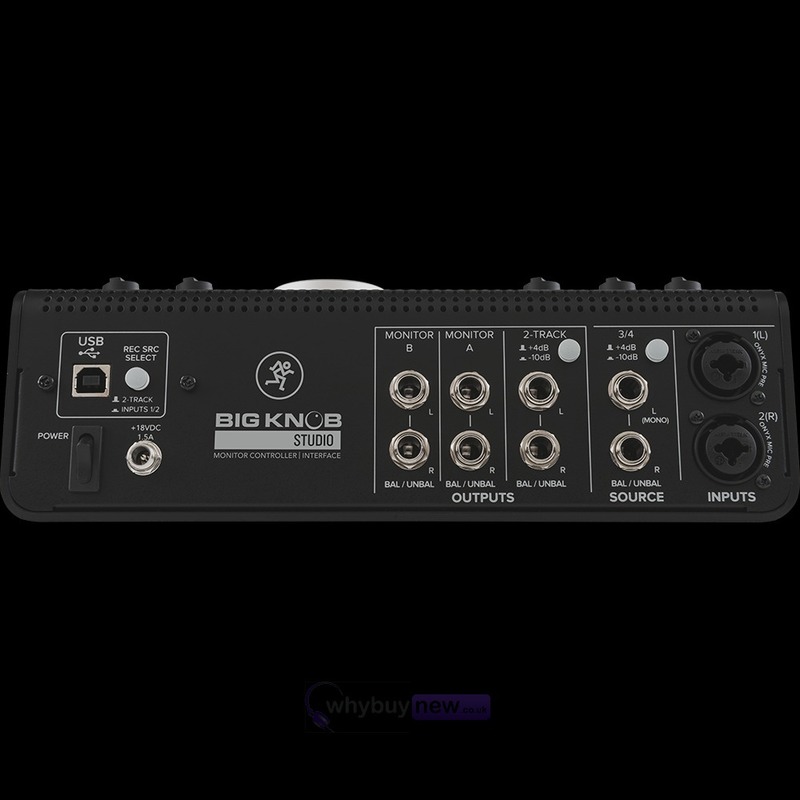 Only Big Knob Studio ensures balanced listening levels, offering independent gain trim on all inputs and outputs. Two separate headphone outs are available, each with separate level control. Plus, there's even a handy front-panel input for your smartphone. 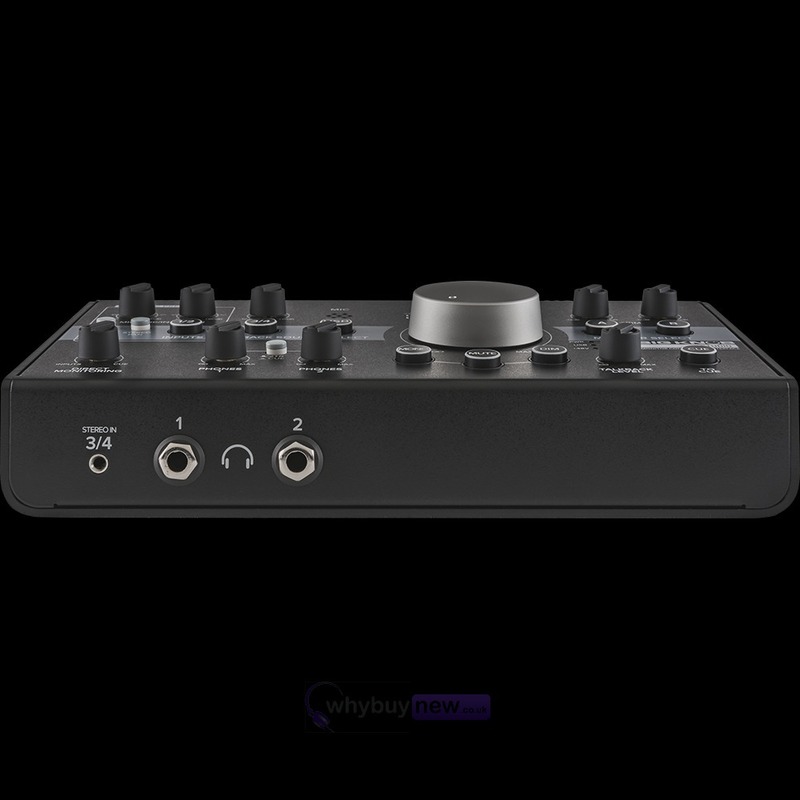 Big Knob Studio is the ultimate compact studio solution - just add monitors.